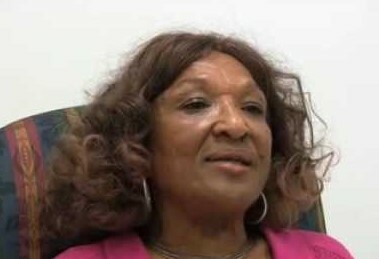 Ms. Norma Leonard Bradley is the Executive Director of the Advocate Legal Senior Center. On February 8, 1982, she resigned as the Supervisor of Senior Specialist, of the Senior Legal Aid Mobilized Unit (SLAM Unit) with Gulf Coast Legal Foundation. On February 22, 1982 Ms. Bradley founded the Advocate Legal Senior Center, which is a non-profit organization that provides pro-bono legal services, advocacy services, public benefit counseling, community education, information and referrals to senior citizens. Our program also provides community education for Grandparents and kinfolk raising children of absentee parents. She has dedicated her life to fighting for and educating seniors of their rights. Ms. Bradley’s main priority has always been to empower seniors in Harris county by educating them, regarding benefits and resources that are available to them. She is known as the “Guru” for senior issues, a member of Care for Elders Government Relations Work Group. She is dedicated to speaking out for the rights of the Elderly. In addition, Norma Bradley supports Senate Bill 95 which calls for an evaluation of training programs offered to “personal attendants” (for seniors).